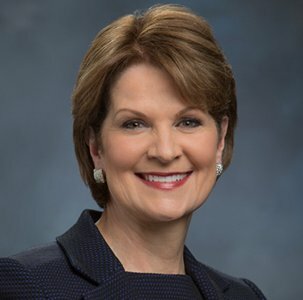 Marillyn Hewson, Chairman, President and Chief Executive Officer of Lockheed Martin. Somewhere in the dense star field in front of the New Horizons spacecraft, an invisible object is hiding. Throughout 2018, New Horizons will arrow toward 2014 MU69, whiffing past at 05:33 on January 1, 2019 (UTC). The small team of scientists and engineers working on New Horizons’ Kuiper-belt extended mission has already laid out its plans for the encounter. Fine details will change as the team updates and improves its knowledge of the size, shape, and location of 2014 MU69 and any satellites, but the outline of the encounter has been fixed. Comtech Telecommunications Corp. announced today that during its second quarter of fiscal 2018, its Command & Control Technologies group, which is part of Comtech’s Government Solutions segment, has received a letter contract from a major U.S. space contractor to source and test space level Electrical, Electronic and Electromechanical (EEE) parts in support of a critical NASA program. This contract is valued in excess of $11.0 million and was initially funded in excess of $4.0 million. The Vulcain 2.1 engine, which will power the main stage of Ariane 6, has completed a successful first test firing. 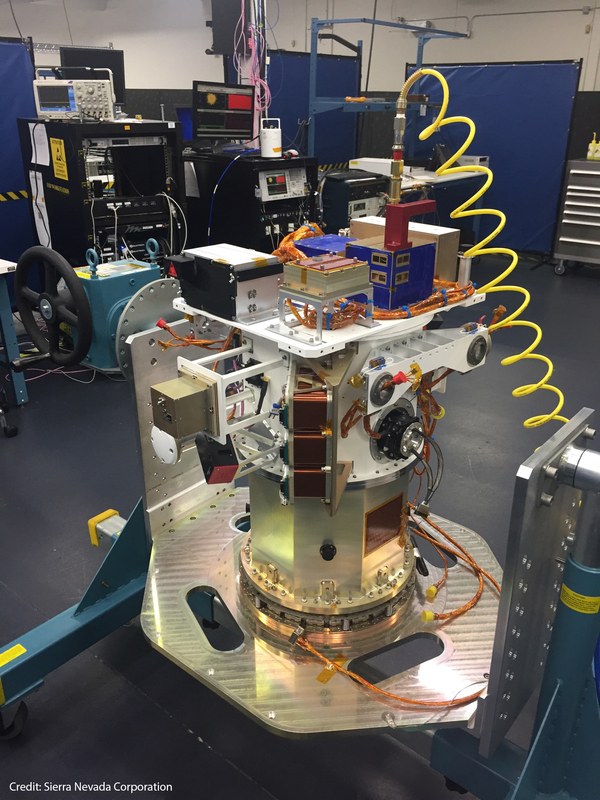 The test was carried out on behalf of ArianeGroup by the DLR (German Aerospace Center) at its Lampoldshausen site. Spacecraft landing on Jupiter’s moon Europa could see the craft sink due to high surface porosity, research by Planetary Science Institute Senior Scientist Robert Nelson shows. 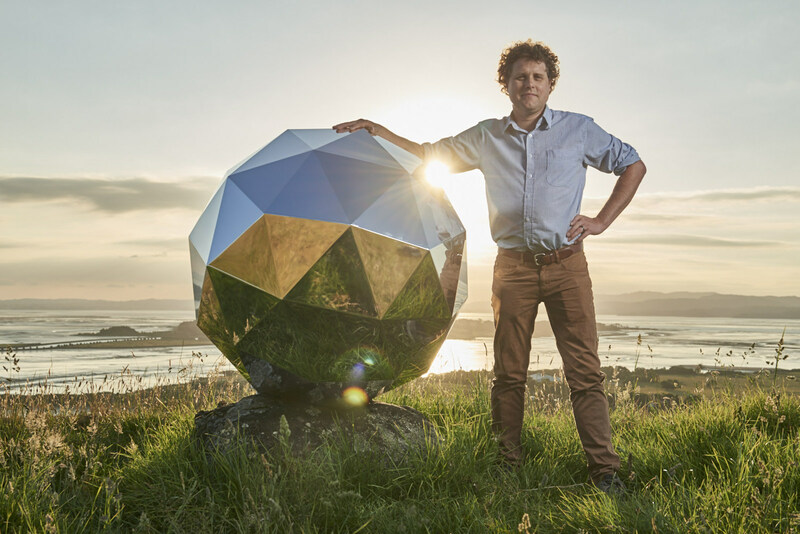 Nelson was the lead author of a laboratory study of the photopolarimetric properties of bright particles that explain unusual negative polarization behavior at low phase angles observed for decades in association with atmosphereless bodies including asteroids 44 Nysa, 64 Angelina and the Galilean satellites Io, Europa and Ganymede. In 2013, the European Space Agency and Roscosmos — the Russian governmental body responsible for space research — agreed to cooperate on ExoMars, the first joint interplanetary mission between ESA and Russia. This project now involves scientists from 29 research organizations, including MIPT and the Space Research Institute of the Russian Academy of Sciences, which is the leading contributor of hardware and equipment on the Russian side. 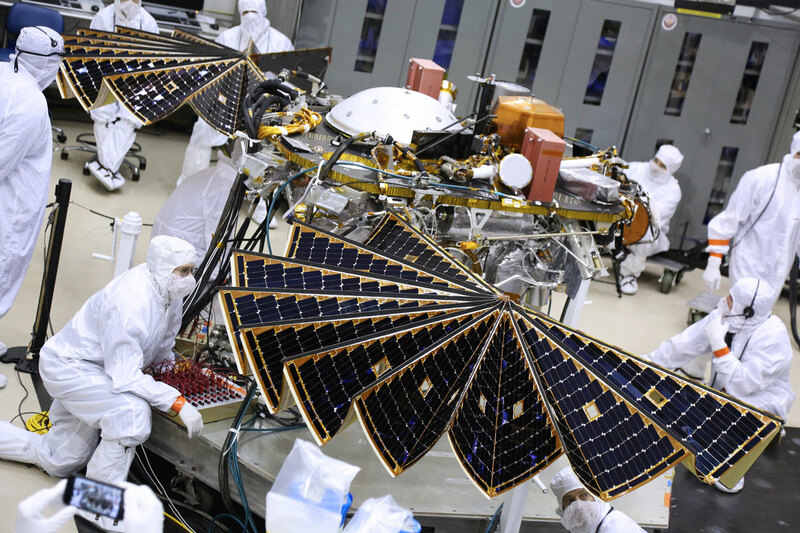 By now, the first package of observation instruments has been delivered into Mars orbit to seek the minor chemical components of the planet’s atmosphere that may be traces of primitive life. The Air Force Research Laboratory’s initiative to help lessen the service’s reliance on Russia’s RD-180 rocket engine has passed a major milestone, according to service officials. The kick pump of the hydrocarbon boost program recently completed testing at different power levels, said program manager Robert Bernstein. The program is aimed at developing advanced staged combustion cycle technologies. Just how quickly is the dark matter near Earth zipping around? The speed of dark matter has far-reaching consequences for modern astrophysical research, but this fundamental property has eluded researchers for years. In a paper published Jan. 22 in the journal Physical Review Letters, an international team of astrophysicists provided the first clue: The solution to this mystery, it turns out, lies among some of the oldest stars in the galaxy. Bas Lansdorp, the eccentric man behind the Mars One mission, a project designed to send humans on a one-way mission to Mars in 2031, recently explained that Mars is only the first step in his grand dreams to colonize the galaxy. 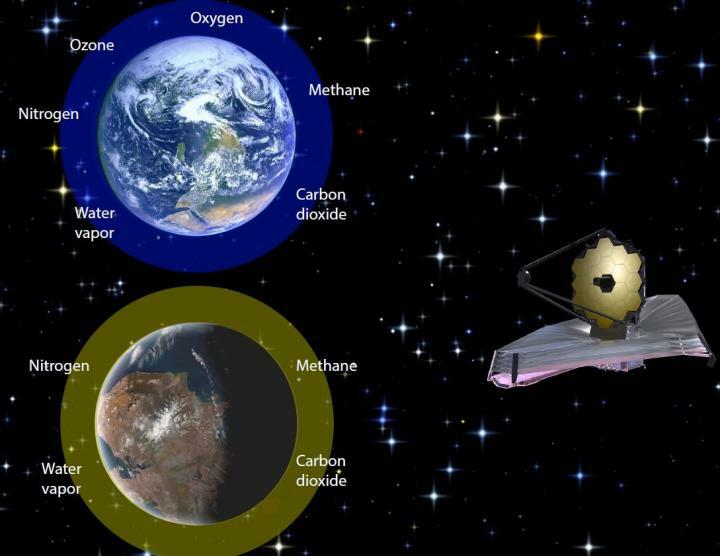 According to Lansdorp, humans may eventually make it to Venus, where they will likely live above the planet’s surface in giant balloon cities. What do astronauts really think about UFOs and missions to Mars? Astronaut and Col. Jack Fischer addressed those questions and many more Thursday, speaking to hundreds of people at the NASA Glenn Research Center. United Launch Alliance has ruled the military market since its creation in 2006 as a 50-50 joint venture between Lockheed Martin and Boeing. The rise of SpaceX is threatening that dominance, which explains why ULA is stepping up efforts to market its Atlas 5 launch vehicle to commercial customers. The company announced this week that it has taken over responsibility for the marketing and sales of Atlas 5 from Lockheed Martin Commercial Launch Services.